ToolpartsPro’s factory trained and certified repair technicians can fix your tools. We will call you with an estimate once the tool is diagnosed, however, there is a $25 estimate charge which will be applied towards any repair work done. Turnaround time is typically 1 to 2 weeks, from approving the repair, depending upon availability of parts from the manufacturers. 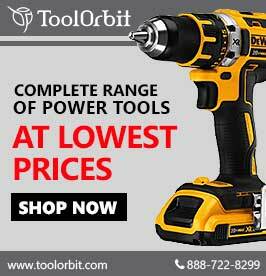 Estimated $25 minimum for small power tools and pneumatic tools. Parts will be charged at list price. Please ship us the fully assembled tool (unassembled tools will be returned, please DO NOT send in tool case, cords, batteries or other accessories – tool only). Disclaimer: If the customer decides not to fix a tool after receiving an estimate that BRR (Beyond Reasonable Repair) tool will be shipped back to the customer unassembled due to local safety and OSHA regulations.